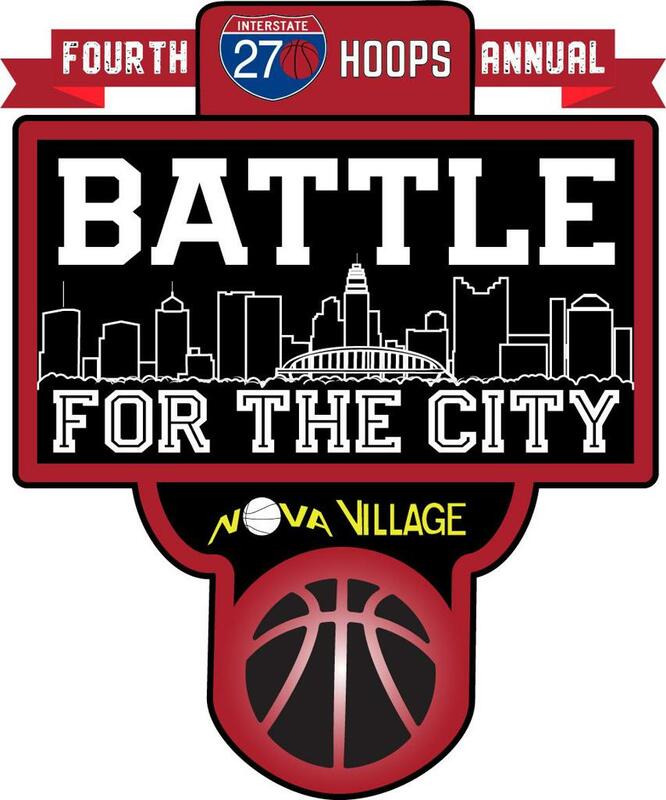 COLUMBUS, Ohio -- As the lone public school in a Division I state semifinal that featured three of the state's elite private powerhouses, Olentangy Liberty had a tough draw on Friday against Akron St. Vincent-St. Mary. Making its first-ever trip to state, Liberty looked like a team that wasn't ready for the moment, as STVM turned in a 25-4 run that spanned more than 12 minutes in the first half to lead by as many as 16 points in the second quarter. Going into halftime trailing 28-16, Liberty had about as dismal of a start as possible, shooting 7-of-22 from the floor, turning it over nine times and allowing 10 offensive rebounds. Fortunately for the Patriots, the Irish weren't much better offensively, as STVM shot a dismal 35 percent from the floor in the first half. STVM's cold offensive display continued into the second half where Liberty began to pick up some momentum. The Patriots turned in an 8-4 run in the final 5:52 of the third quarter to pull within six points at 38-32 heading into the final frame. Behind its star senior Ben Roderick, Liberty made its last gasp run, as five-straight points from the 6-foot-5 senior got Liberty to within three points at 45-42 with 4:12 remaining. As Roderick missed the second of two free throws at the tail end of that run, Liberty had a chance to get within a point as senior Nick Nakasian pulled down an offensive rebound and was fouled on a dunk attempt. Nakasian missed both attempts at the line which then spurned a 4-0 run over the next minute for the Irish, capped off by a driving score from senior Darius Cone to extend STVM's lead to 49-42 with 3:05 to go. Liberty got back to within three at 52-49 with 1:32 remaining, however the Patriots could not stop STVM senior Lunden McDay, whose offensive rebound and putback finish stretched the Irish lead to 54-49 with 1:23 to go, as Liberty never got any closer. Knocking down clutch free throws in the final minute, STVM climbs into the Division I state final much to the credit of its senior stud McDay. McDay, who began his career at Groveport Madison, was the difference for the Irish, finishing with 21 points on 9-of-14 shooting. The Ohio University signee played a strong two-way game and made the clutch plays needed to bring home the win. Joining McDay in double figures were senior Chris Painter (13 points) and sophomore Malaki Branham, a former Columbus middle school star just two years back. Branham had a strong first half, scoring all 10 of his points in the opening two quarters. Cone rounded out the scoring with 10 points for the Irish. For Liberty, the program's all-time leading scorer Roderick was outstanding, finishing with 25 points on 10-for-19 from the floor, in addition to nine rebounds and three assists. Roderick came alive in the fourth quarter, scoring 13 points and helping Liberty get within a single possession on multiple occasions. The only other player outside of Roderick in double figures was senior guard Joey Thatcher, who knocked down three triples and finished with 11 points. Senior guard Mitch Kershner had a very strong defensive showing, holding star sophomore STVM guard Seth Wilson without a field goal, as the Rochester commit added seven points and seven rebounds. Nakasian rounded out the starting rotation with four points, struggling to get going from the field and free-throw line. With the sound of the final horn, Liberty's senior exited Value City Arena as the best-ever for the Patriots. Roderick, Nakasian, Kershner, Thatcher, Jack Metzger and Llwyatt Hofer leave a legacy that will be long remembered in Powell. After torching Central Ohio for the last three seasons, Roderick will now shift his focus toward the recruiting process, as the 6-foot-5 senior is the best unsigned player in the state of Ohio. Going up against a long and athletic Irish squad that challenged him on the perimeter, Roderick accepted that challenge, scoring it in a variety of ways from the mid-range and in. With the semifinal win, St. Vincent-St. Mary will now look to add a ninth state title in its illustrious history, as the Irish move on to face the buzzsaw that is Cincinnati Archbishop Moeller in the state final on Saturday. In its only regular season meeting this year, Moeller rolled over the Irish 99-62 in early December.